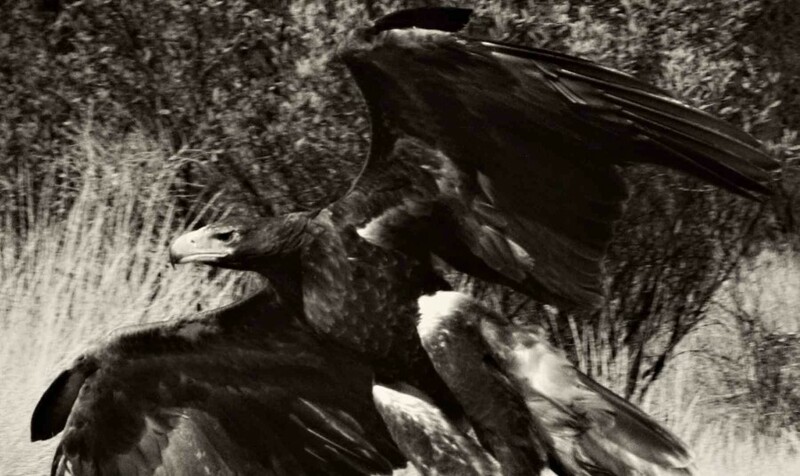 Flying right past the front of the camera today, we have a wedge-tailed eagle. Although the low-quality image on the webpage might eat out some of the detail in the black and grey sections of the picture. This one is a really good action picture. With these types of things, you never know when a large bird will fly right in front of you, and there are a few things you need to get use to in order to capture that moment. I have started using the constant metering button on the camera, which has helped out a fair bit. Without it, the bird would be blurry. As it helps keep what you are looking at in focus, rather than lock it in. I am really excited to make prints of this image soon, and I think it will be a popular image due to the action style photograph. When I arrive home at the end of the year, I look forward to hanging it in the Expedition Gallery.